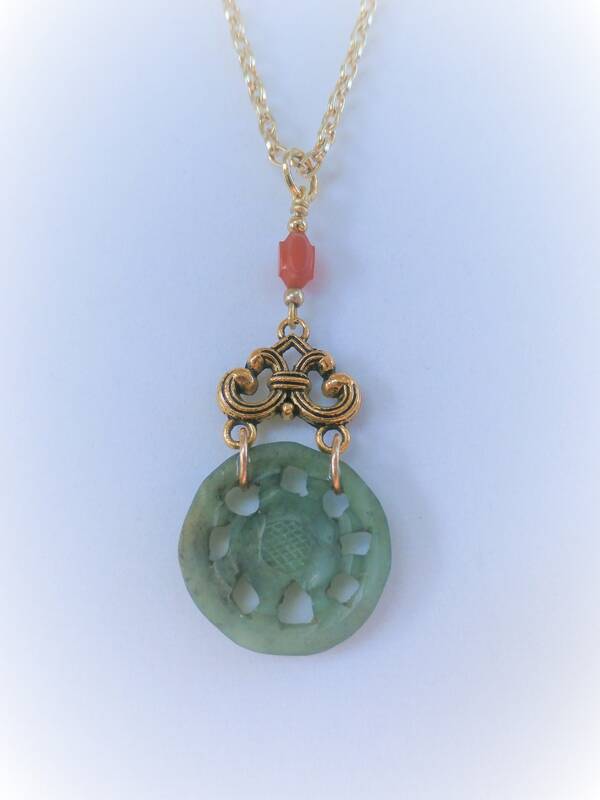 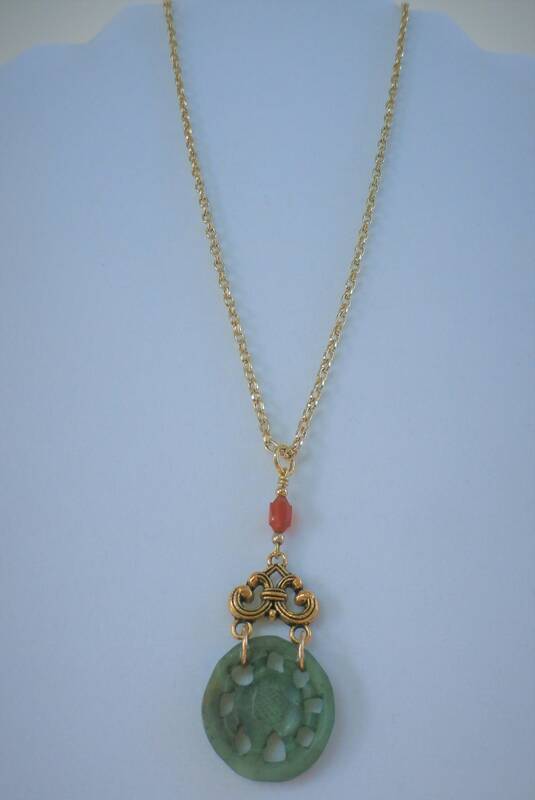 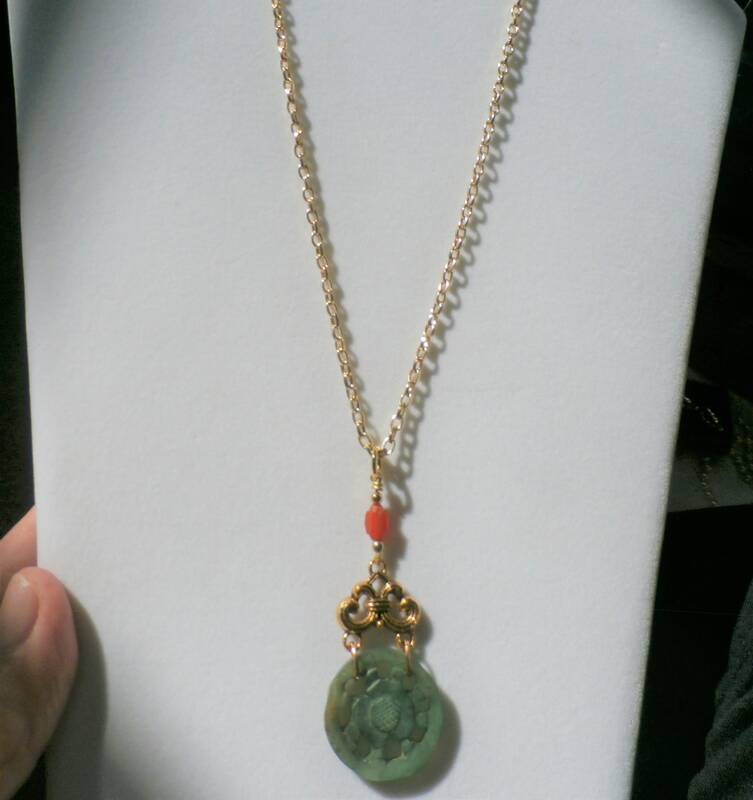 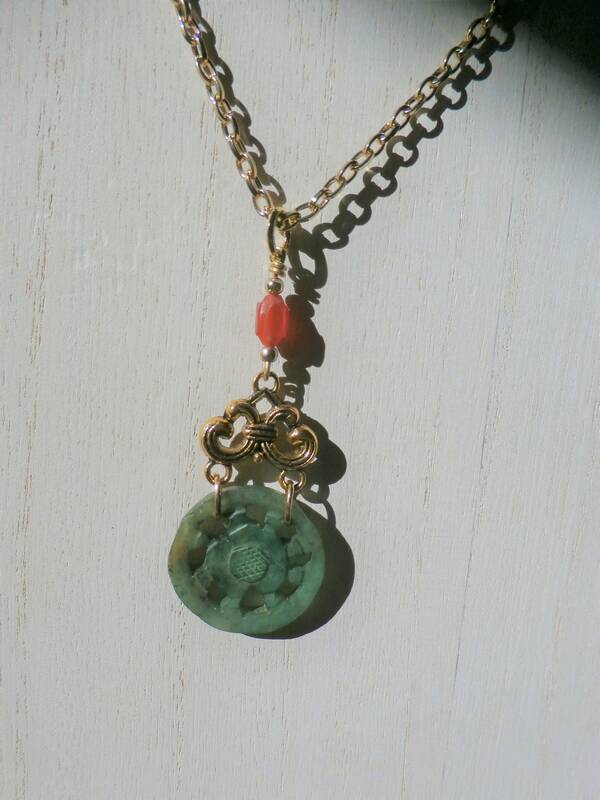 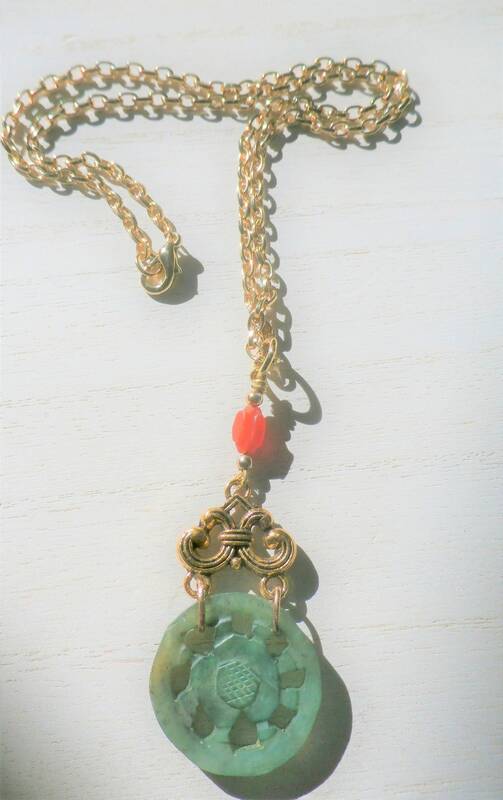 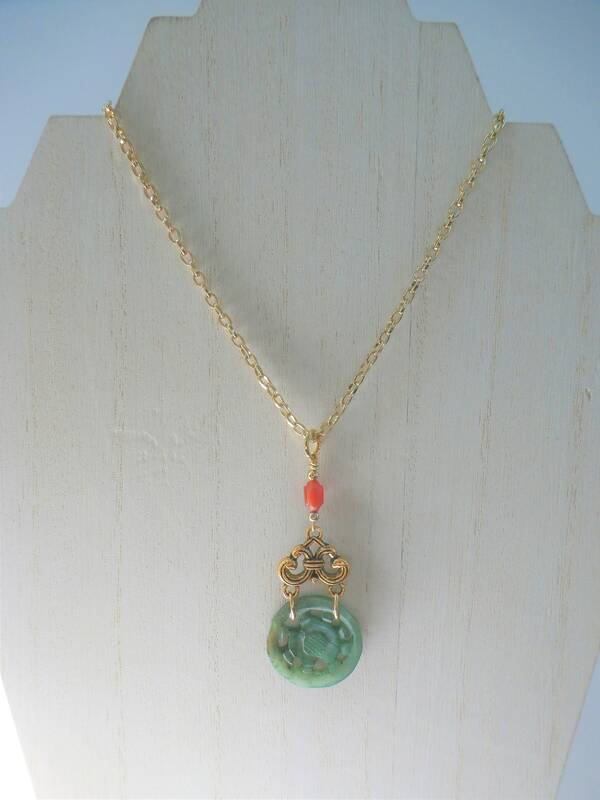 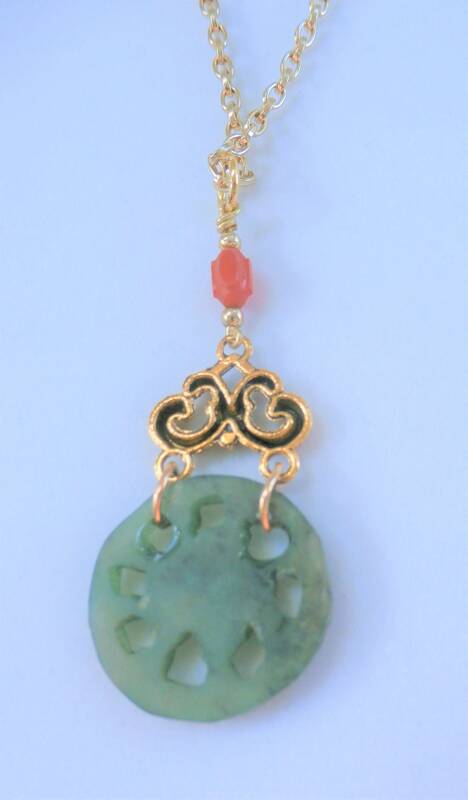 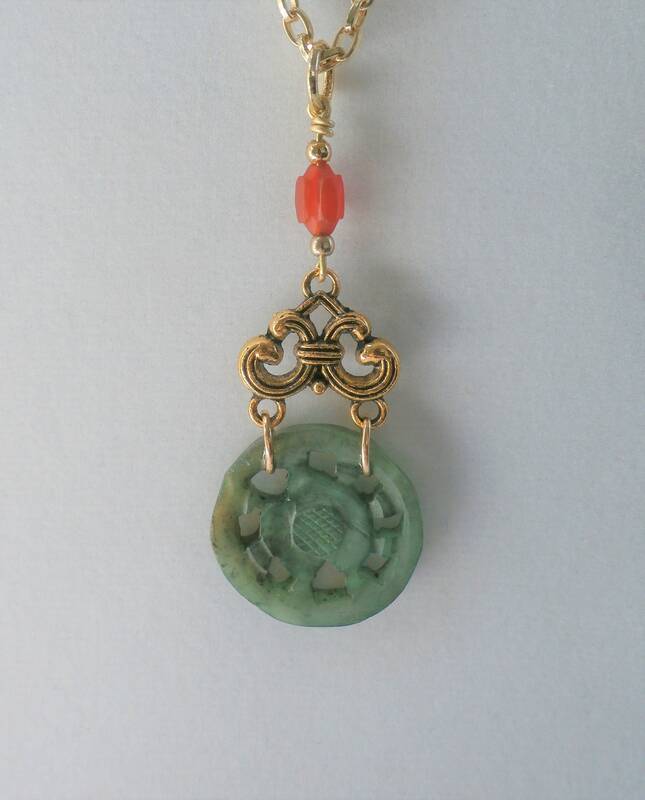 Antique Chinese Jade "Coin" pendant hand wired onto a gold frame connector, headed up by an antique carved carnelian bead. 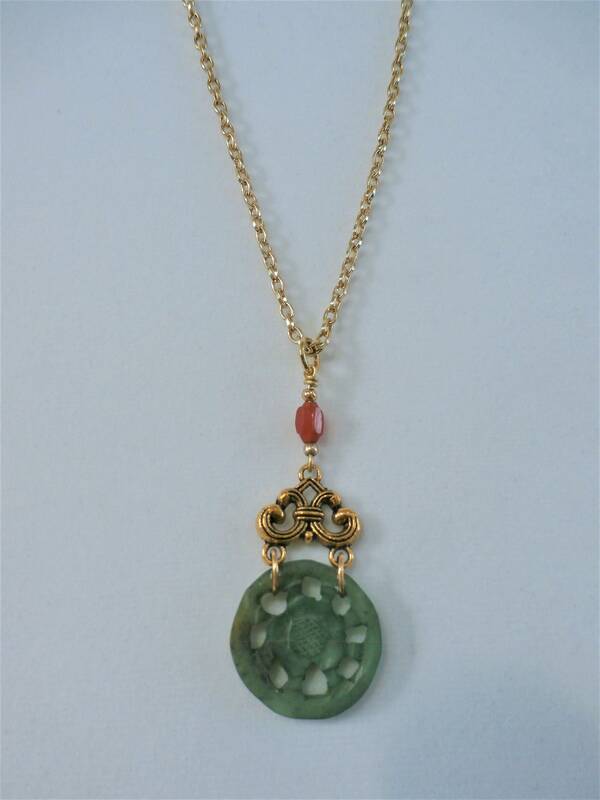 All gold plated, and the stone elements are sourced from an Antique Asian jeweler. 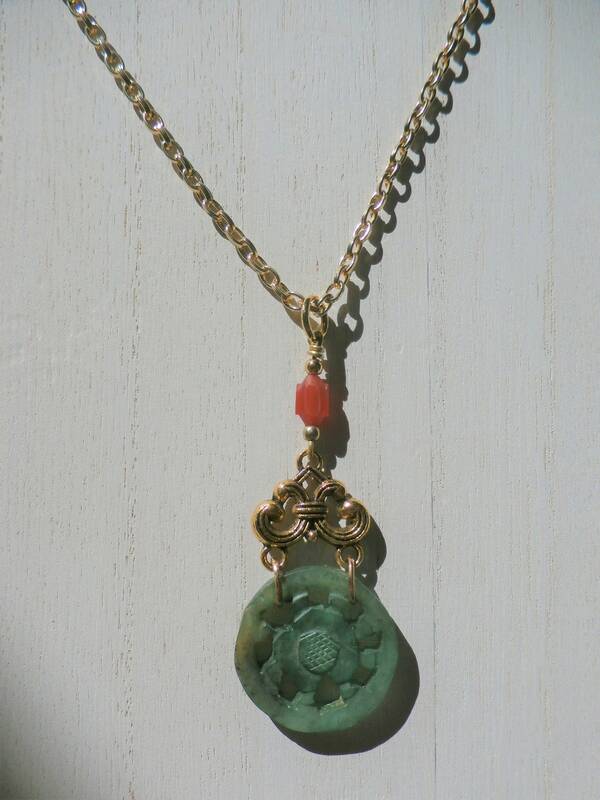 Hand-carved with a flower motif, and truly a work of art, and one of a kind.